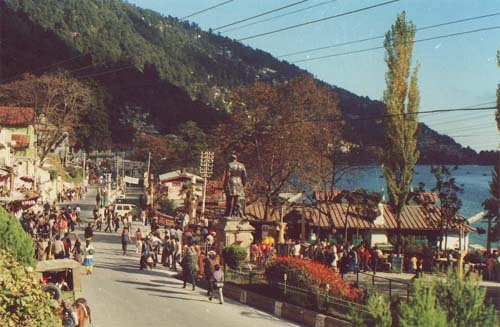 Mall Road is was constructed during the British colonial rule, The Mall Road is the main road which runs through the heart of the Nainital town parellel to the lake connecting the two ends of the town. The Mall road now named Govind Ballabh Pant Marg. With the cool breeze blowing across the lake through the road an evening stroll on the Mall, has its own charm. During summers, this road is big attraction for the tourists. 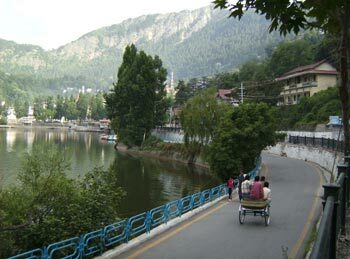 Nainital is flushed with choices on what to buy having exclusively the ‘Made-in-Nainital’ stamp. Mall road has a number of Hotels, Travel Agencies, Banks, Showrooms, Department Stores, Shops, Restaurants and Cafes. Entry of heavy traffic is prohibited during the months of May, June and October from 8 AM to 10.30 AM and 2.30 PM to 10.30 PM, light vehicles from 6.00 PM to 10.00 PM and cycle rickshaw from 6.00 PM to 9.00 PM. 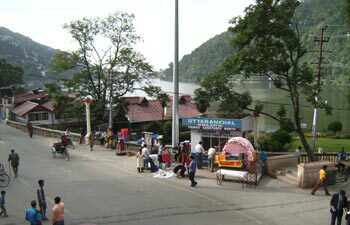 Parking is strictly prohibited on the Mall Road except some designated parking places with in Nainital. Traffic shall be strictly prohibited on Mall Road between 6-9 p.m during season. Only one way route from Tallital to Mallital for LMV.